ItemB-01061 - "Staff of 1924, Vancouver". ItemB-01069 - The kindergarten at Whonnock. ItemB-01358 - Henri Jorand, Jr.
ItemB-01263 - "GTP SS Prince Rupert". 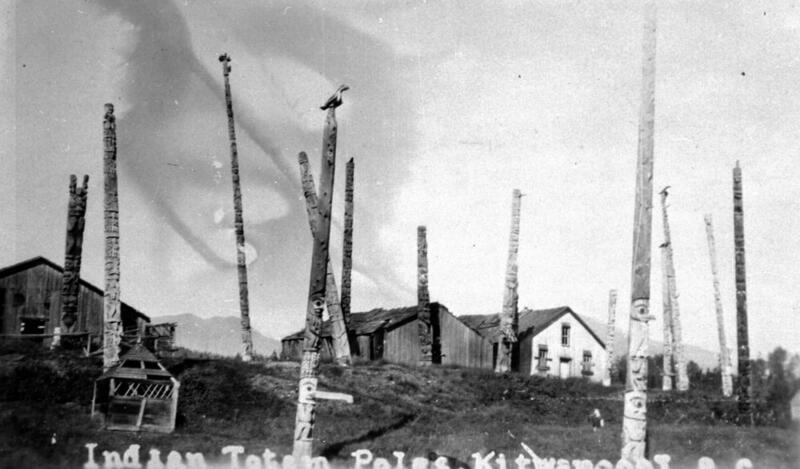 ItemB-01303 - "Indian totem poles, Kitwancool, BC." ItemB-01316 - Sourdough McKay crossing the temporary footbridge over Canyon Creek; Yukon telegraph line. Item B-01303 - "Indian totem poles, Kitwancool, BC." "Indian totem poles, Kitwancool, BC."